As a budding trainee UI designer of no note whatsoever, I can vouch for the amount of knowledge that you must cram into your skull to become a great pixel-artist. 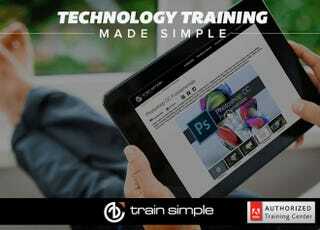 To help get you started, we've teamed up with Train Simple, an Adobe-authorized training center, to give you over 4,300 hours of tutorials for $79 — that's 84% off. We offered this deal to Lifehacker readers about 6 months, and it was so well received we decided to bring it back on io9. Train Simple is a certified trainer that has provided for services for companies like Disney, Nike, NBC, Intel, and more. In all, these courses cover Photoshop, Illustrator, InDesign, Lightroom, Flash, ColdFusion, Muse, Edge, DreamWeaver plus all the fundamentals of modern web design, so this package has you pretty much covered whatever your flavor of design is.